Our very own Armchair BEA team member, Deb of Read Write Tell, is back today to share some wonderful middle grade recommendations with you. 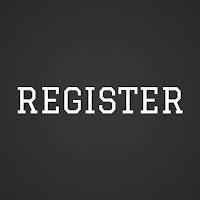 Get your list read to be adding some more titles! "When the Dark comes rising, six shall turn it back, Three from the circle, three from the track; Wood, bronze, iron; water, fire, stone; Five will return, and one go alone." 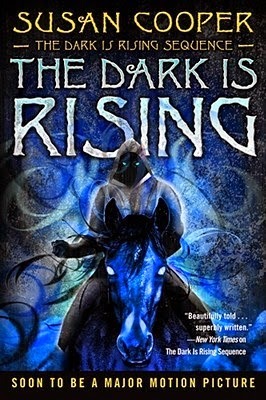 Will Stanton turns 11 and learns from Merriman Lyon, the Lady, and Circle of Old Ones, that he must find six Sign symbols and battle the Black Rider, blizzard and flood. That's not a very promising beginning for a friendship, but Jess and Leslie Burke become inseparable. 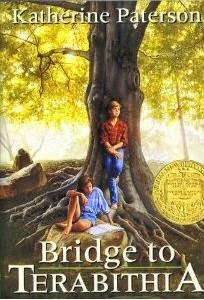 Together they create Terabithia, a magical kingdom in the woods where the two of them reign as king and queen, and their imaginations set the only limits. I loved these titles and they were some of my go to book talks over the next years. The Great Gilly Hopkins is looking for a home. She's a foster kid who's been angry, lonely, and hurting for so long that's she's always ready for a fight. Be on the lookout for her best barracuda smile, the one she saves for well-meaning social workers. Watch out for her most fearful look, a cross between Dracula and Godzilla, used especially to scare shy foster brothers. Don't be fooled by her "Who me?" expression, guaranteed to trick foster parents, teachers, and anyone who gets in her way. It's Gilly Hopkins vs. the world! And so far, Gilly seems to be winning. But what she doesn't realize is that every time she wings, she really loses, until she discovers a love as formidable as any enemy she's ever known. 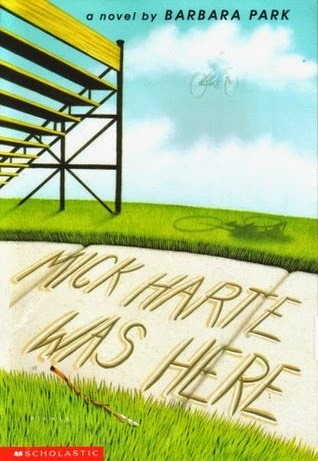 "How could someone like Mick die"? He was the kid who freaked out his mom by putting a ceramic eye in a defrosted chicken, the kid who did a wild dance in front of the whole school--and the kid who, if only he had worn his bicycle helmet, would still be alive today. 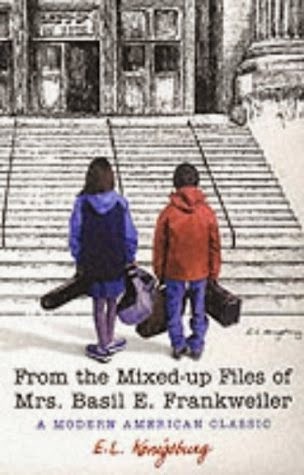 But now Phoebe Harte's twelve-year-old brother is gone, and Phoebe's world has turned upside down. 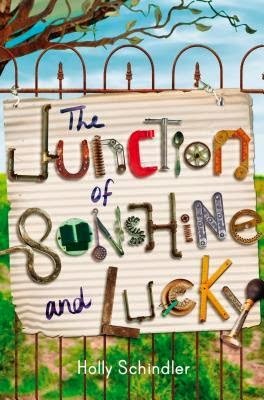 With her trademark candor and compassion, beloved middle-grade writer Barbara Park tells how Phoebe copes with her painful loss in this story filled with sadness, humor--and hope. 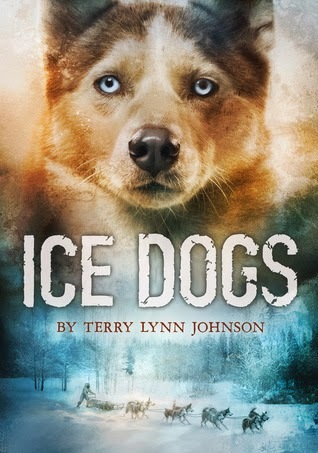 When Marty Preston comes across a young beagle in the hills behind his home, it's love at first sight9 and also big trouble. It turns out the dog, which Marty names Shiloh belongs to Judd Travers who drinks too much and has a gun9 and abuses his dogs. So when Shiloh runs away from Judd to Marty, Marty just has to hide him and protect him from Judd. But Marty's secret becomes too big for him to keep to himself, and it exposes his entire family to Judd's anger. How far will Marty have to go to make Shiloh his? 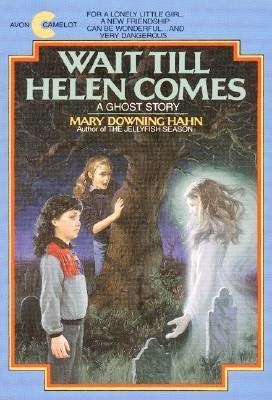 During that time I also discovered Mary Downing Hahn and one of my still all time favorite scary middle grade reads, Wait Till Helen Comes. 1. He has his own suitcase filled with his own important, secret things. 2. He's the author of Bud Caldwell's Rules and Things for Having a Funner Life and Making a Better Liar Out of Yourself. 3. His momma never told him who his father was, but she left a clue: flyers of Herman E. Calloway and his famous band, the Dusky Devastators of the Depression!!!!!! Bud's got an idea that those flyers will lead him to his father. Once he decides to hit the road and find this mystery man, nothing can stop him--not hunger, not fear, not vampires, not even Herman E. Calloway himself. Bud, Not Buddy is full of laugh-out-loud humor and wonderful characters, hitting the high notes of jazz and sounding the deeper tones of the Great Depression. Once again Christopher Paul Curtis, author of the award-winning novel The Watsons Go to Birmingham--1963, takes readers on a heartwarming and unforgettable journey. Tree-ear, an orphan, lives under a bridge in Ch’ulp’o, a potters’ village famed for delicate celadon ware. He has become fascinated with the potter’s craft; he wants nothing more than to watch master potter Min at work, and he dreams of making a pot of his own someday. 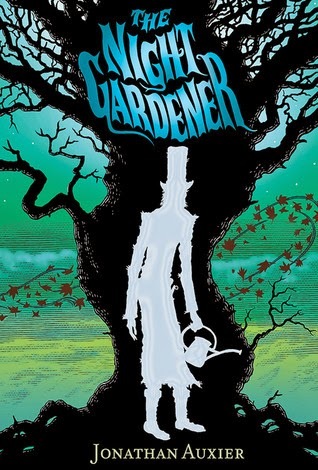 When Min takes Tree-ear on as his helper, Tree-ear is elated–until he finds obstacles in his path: the backbreaking labor of digging and hauling clay, Min’s irascible temper, and his own ignorance. But Tree-ear is determined to prove himself–even if it means taking a long, solitary journey on foot to present Min’s work in the hope of a royal commission . . . even if it means arriving at the royal court with nothing to show but a single celadon shard. 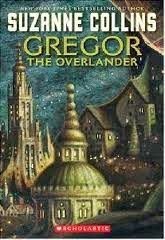 Gregor the Overlander by Suzanne Collins (yes, of Hunger Games fame!) This was a book that had one of my young library patrons decide she LOVED to read. It was her gateway book. Millicent Min is having a bad summer. Her fellow high school students hate her for setting the curve. Her fellow 11-year-olds hate her for going to high school. And her mother has arranged for her to tutor Stanford Wong, the poster boy for Chinese geekdom. But then Millie meets Emily. Emily doesn't know Millicent's IQ score. She actually thinks Millie is cool. And if Millie can hide her awards, ignore her grandmother's advice, swear her parents to silence, blackmail Stanford, and keep all her lies straight, she just might make her first friend. What's it gong to take? Sheer genius. Fast forward to today and I am still a librarian except now I am in a school library. Has my list of great books to share grown? Oh my yes it has. And now I share on the interwebs (as one of my librarian buddies calls the internet and all its social media). For some of my favorites from last year you could head over to Cybils and have a look at the middle grade fiction list. 1986-2014. It boggles my mind, but I am very lucky to have the job I do. What I appreciate most about having read middle grade for so very long is being able to combine past and present when looking for that just right read for my young patrons…of course, I am also careful not to overwhelm them with a pile of books to choose from. I will admit I can get carried away. But I guess as long as they don’t run from the library saying, “No more Mrs. Marshall, no more!” I am doing okay. Deb is one of our own Armchair BEA team members and blogger at Read Write Tell. After working for many years in the public library system and as a professional storyteller she now is an elementary school librarian and aspiring writer of picture books and middle grade novels. Great list, Deb! I aspire to be a children's librarian and I hope one day I'll be able to compile something like this. :) Lately I've been reading less middle grade books than I would like, so I'm happy to add some of these to my TBR pile. 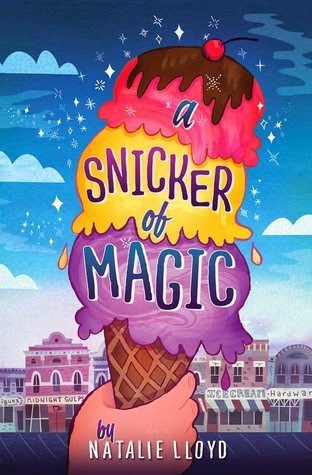 A Snicker of Magic especially sounds like a great book. So. Many. Amazing. Books. I'm glad to see some of the older books like Mixed-up Files aren't forgotten. I've read at everything on that 1986 list that you've mentioned. Loved A Single Shard. 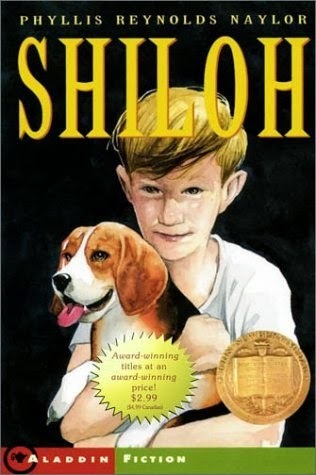 SHILOH! I forgot all about that book. I used to love that book in 5th grade! I wonder if my mom still has it. To this day, I love leaving the library with books stacked and tilting this way and that. Great post. Yikes! I have only read two of the books on this list. 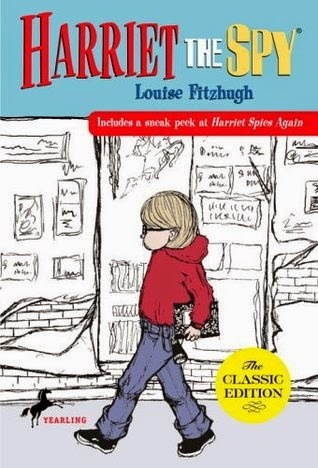 Bridge to Terabithia by Katherine Paterson and Harriet the Spy by Louise Fitzhugh. I am scribbling down the others on the list.